Unlimited Abilities Foundation is proud to say that we have had continued sponsorship throughout the years from both the local community and also national Organizations. These Organizations have seen our programs and what we offer firsthand. They have also learned about some of the disabled individuals that we have been able to assist with to provide a better and more positive lifestyle. Our number one goal is to continue building these great relationships so that we may be able to strive to assist as many individuals throughout the South Florida community and help remove barriers that they once thought were impossible. 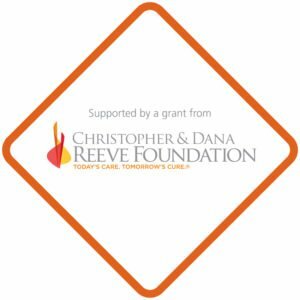 Palm beach County, Florida – Unlimited Abilities Foundation Inc. is proud to announce that it has received a $2000 Quality of Life grant from the Christopher & Dana Reeve Foundation. The award was one of 102 grants totaling over $500,000 awarded by the Reeve Foundation to nonprofit organizations nationwide that provide more opportunities, access, and daily quality of life for individuals living with paralysis, their families, and caregivers. Created by the late Dana Reeve, the program has awarded 2,307 grants totaling over $17 million since 1999. Unlimited Abilities Foundation will use this grant towards financial assistance of our disabled scuba diving program for individuals seeking the opportunity to explore our beautiful oceanic world.